Wanders has developed new burners for their Lenga models. The new combustion technique creates an extremely realistic flame effect with the flames literally coming out of the logs. 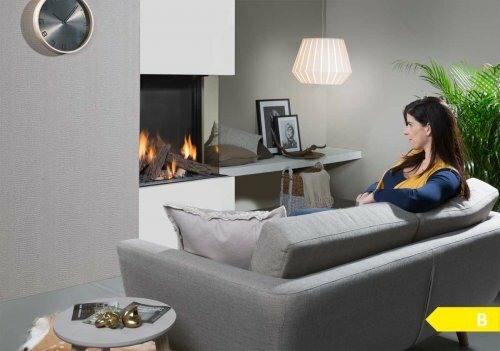 This sleek built-in fire only takes up a little space and is ideal for a minimalistic interior. Are you looking for a clean-cut built-in corner fire with lovely high flames ? Then the Lenga 500, with its realistic dancing flames, is the one for you! The glass on three sides of this in this built-in fire allows an excellent view of the flames from anywhere in the room.